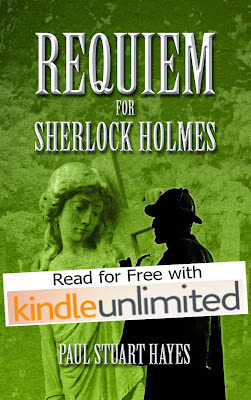 Requiem for Sherlock Holmes has just been enrolled in Amazon's KDP Select programme, which means that Amazon Prime customers can now download a copy of it for free via Kindle Unlimited. The book should have gone onto KDP Select last year but we've had no end of trouble getting one particular site to remove the book from their listings (as Amazon insist on exclusivity). I don't want to name names so I'll just call them Burns and Nibble.